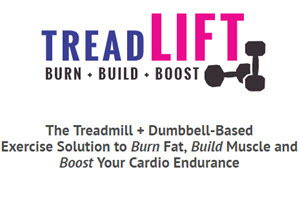 Americans buy more treadmills for home use than any other piece of fitness equipment. The motorized track of a treadmill allows you to walk, jog, or run at a pace you choose. 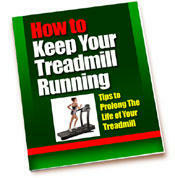 Many treadmills have programmed inclines to simulate the intensity of jogging uphill. Others include resistance levers that give your arms and upper body a workout. If you hold the handrails, you can lower the intensity of your workout. Stationary bicycles are good for exercising when the weather is bad and, unlike running, have only moderate impact on your knees. You can increase the intensity of your workout by pedaling faster or adjusting the resistance on the wheel. Some models offer movable handlebars for an upper-body workout. To avoid injuring your knees, you should adjust the seat so that your knees are still slightly bent when the pedals are at the lowest point of their cycle. Stair climbing is one of the most intense forms of aerobic exercise you can perform. Stair-climbing machines give you a rhythmic workout that does not put a lot of stress on your knees. You can adjust the resistance for a more intense workout. Be sure to place your entire foot flat on the step to protect your Achilles tendon, which runs from the back of your calf to your heel, from injury. Do not climb using only your toes. Because this type of equipment uses the muscles in both your upper body and lower body, it is an excellent form of exercise that burns plenty of calories. Cross-country ski machines place little stress from impact upon your joints. Some models allow you to raise the front of the machine so that you can simulate uphill skiing for a more intense workout. Rowing machines simulate the effort exerted when rowing a boat. Rowing machines work the upper body and the legs. Some rowing machines are electric, while others are manual. You can adjust the resistance to vary the intensity of your workout. Sitting upright as you row will help prevent back strain. This type of exercise machine combines the motions of rowing with those of leg presses to provide a total-body workout. You can adjust the resistance to alter the intensity of your workout. Exercise riders provide a more intense workout for men of average fitness than for very fit men.